The Imperial Dignity is not in the spoken name itself, but consists and culminates in glorious piety. Out of this intimate co-operation of Church and state came one of the most brilliant ideas in the history of statesmanship: the transformation of Charlemagne’s realm into a Holy Roman Empire that should have behind it all the prestige, sanctity, and stability of both Imperial and Papal Rome… If the bold scheme could be carried through there would again be a Roman emperor in the West, Latin Christianity would stand strong and unified against schismatic Byzantium and threatening Saracens, and by the awe and magic of the imperial name, barbarized Europe might reach back across centuries of darkness, and inherit and Christianize the civilization and culture of the ancient world… the Holy Roman Empire was a noble conception, a dream of security and peace, order and civilization restored in a world heroically won from barbarism, violence, and ignorance. We are not the playthings of blind forces, but free men who, in accordance with the will of God, are able to shape their own lives. On the most Holy Day of the Nativity of the Lord when the King rose from praying at Mass before the tomb of biased Peter the Apostle, Pope Leo placed a crown on his head and all the Roman people cried out, “To Carolus, pious Augustus, crowned by God, great and peace giving Emperor of the Romans, life and victory.” And after the laudation he was honoured by the pope in the manner of the ancient princes and, the title of Patrician being set aside, he was called Emperor and Augustus. 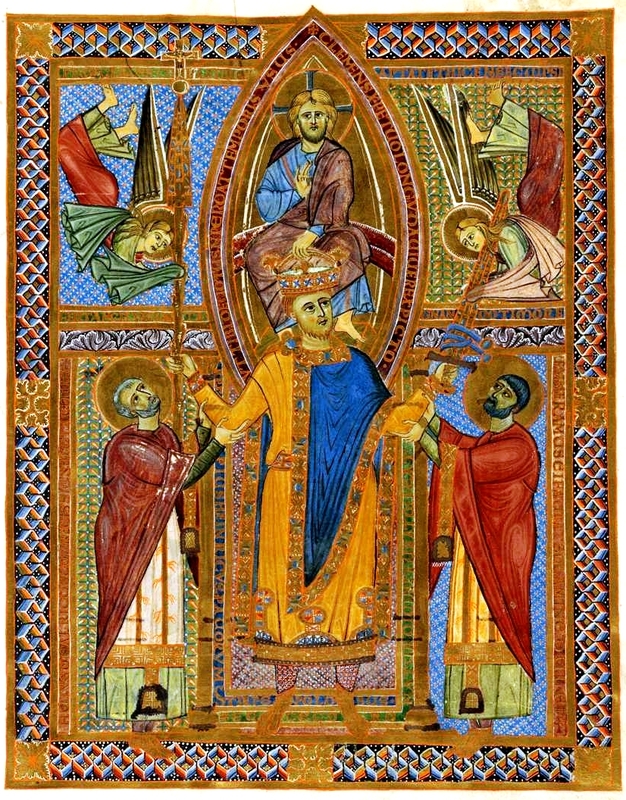 Of all the rulers of the Holy Roman Empire the most renowned, the first to receive the golden Imperial Crown from the hands of the Roman Pontiff, no Emperor has so captured the Catholic imagination as Carolus Magnus, the Emperor Charlemagne. The beginning of the Sacred Ages might truly be dated to his coronation on the feast of the Nativity of Our Lord. 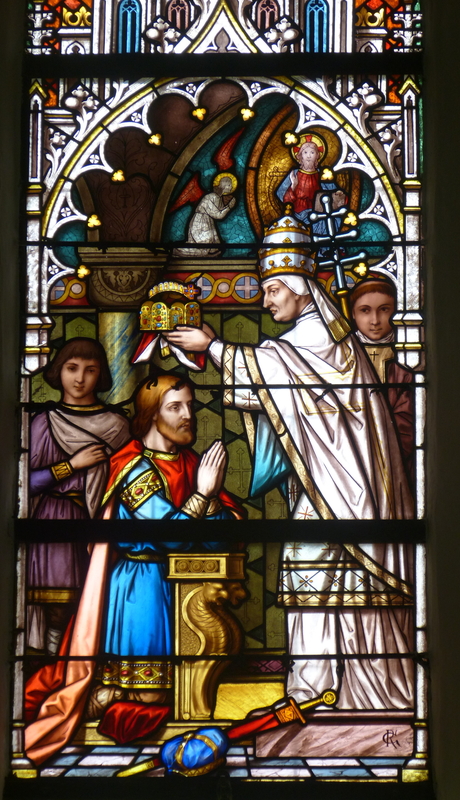 Born on the second of April in the year of Our Lord 742 in the realm of Austrasia, Karol (as he was named in old Frankish) was the oldest son of Pippin the Short, King of Francia and Patrician of the Roman Empire. 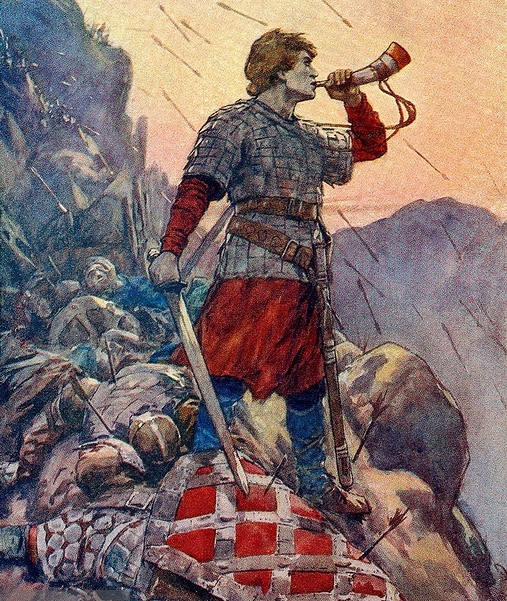 Upon the death of King Pippin in A.D. 768, Karol and his younger brother Karloman jointly ascended to the Frankish throne, in the midst of a rebellion in Aquitania. It is when a fact is thus too big for history that it overflows the surrounding facts and expresses itself in fable. Nay, it is when the fact is in a sense too solid that its very solidity breaks the framework of ordinary things; and it can only be recorded through extraordinary things like fairy-tales and romances of chivalry. Everybody felt that merely saying that one Carolus or Carl had lived and died at a certain date, and had a palace at Aix, and fought such and such campaigns against Saxons or Saracens, was wholly inadequate to explain what had happened. Far, far across the hills echoed the song of the Olifant of the Palatines. In the vanguard of his army Carolus Goldencrowned heard it beyond the Pass of Runcievalles, summoning the riders of the King of the West. Now swiftly they rode, their own horns giving answer, swiftly to brandish bright swords against the enemies of the free realms. Alas! too late had come the summons and what aid now could save those valiant knights of Christendom? And now Christendom is no more. Upon its ruins, odiously counterfeiting the Holy Empire, Satan has raised up, to the shame of the West, his false empire, formed out of successive encroachments, and recognizing as its first origin the apostasy of the felon knight Albert of Brandenburg… Oh Lord, arrest the progress of the false empires that arise in the North out of schism and heresy, and permit not the peoples of the Holy Roman Empire to ever fall prey to them. 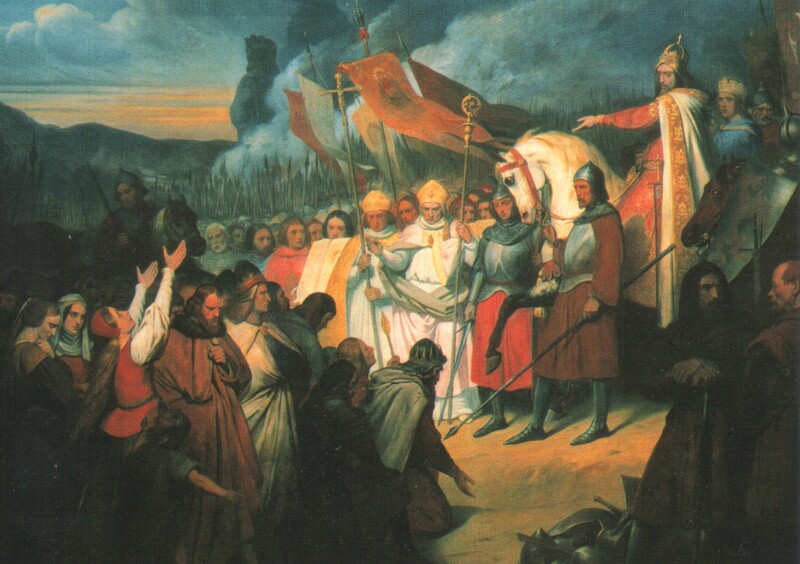 Return, oh Emperor of the great ages, fight for the Church; rally the ruins of Christendom about the traditional ground, the common interest of all Catholic countries; and that alliance which your high politics had once concluded, will return to the world the security, the peace, the prosperity which will not yield to the mercy of violence. 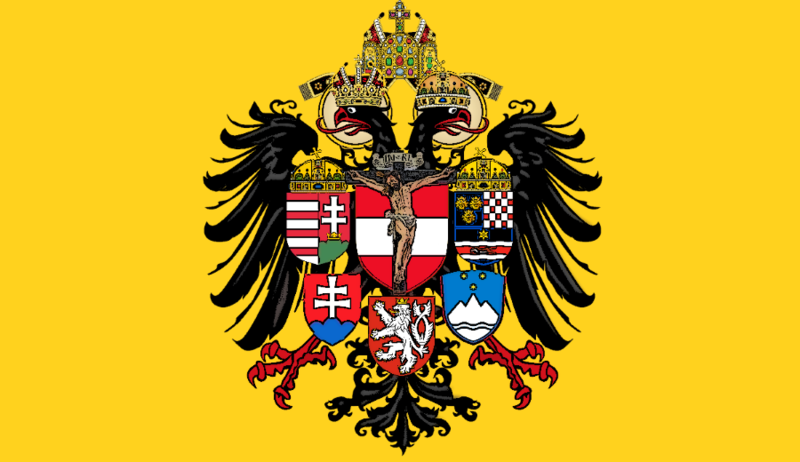 Because of the importance of this understanding of the West, I’ve decided to make my “Europe is the Empire” posts a regular feature on this site. Check out the original The West is Europe and Europe is the Empire, and the follow-up post, “Europe is the Empire”: Revisited. Europe is a geographic term only in a secondary sense: Europe is rather a cultural and historical concept. On Christmas Day in 800 A.D.
A hush fell upon the multitude of the faithful as they assembled in the nave of the great Basilica of Saint Peter. Even on the great feast of the Nativity of Our Lord, many were troubled by the dark rumors out of the East. Messengers from the city of Constantine had brought tidings of the murder of the Roman Emperor and the vacancy of the throne, while both in the eastern and western borders of the Empire were falling to the war-loving tribes of the desert. A council had been convoked, and the wise men of Rome gathered about the Holy Father, for it was clear that something must be done.